Photographer’s Comments: “Carolyn and Tommy both love the outdoors, are well-traveled and have so many friends from around the world. Combine that with excellent taste and it makes for a stunning and super fun wedding filled with so many details. 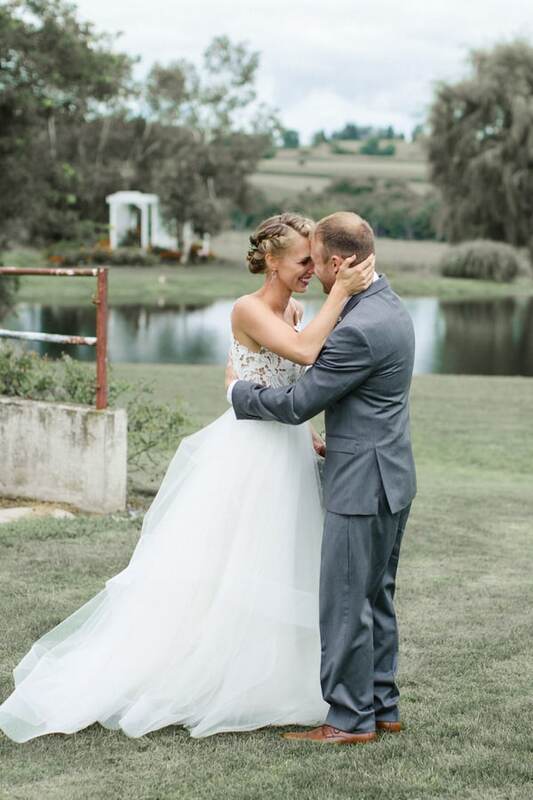 “My favorite details included Carolyn’s vine engagement ring + wedding band paired with Tommy’s wooden one, their handwritten vows that they quietly read to themselves + the way their officiant (their friend, Megan!) held their ceremony – which was much more like she was narrating their story as opposed to just reading words she was given. 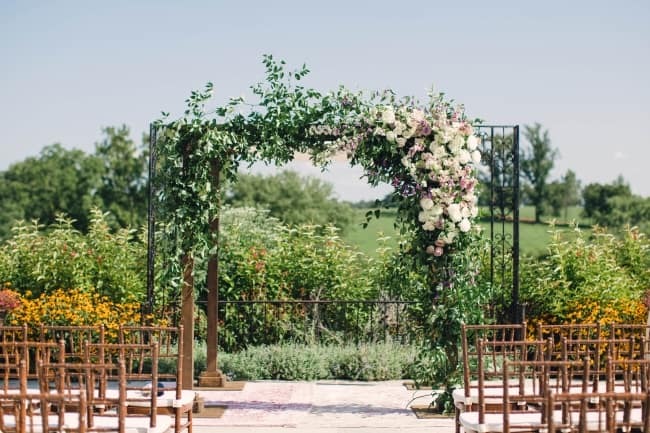 “I also can’t help but gush over Carolyn’s dress and the incredible greenery-filled florals she had. Not only that, Carolyn and Tommy have a love so evident and they’re so comfortable with each other that it makes them incredibly easy to photograph. All of the details just add to it! 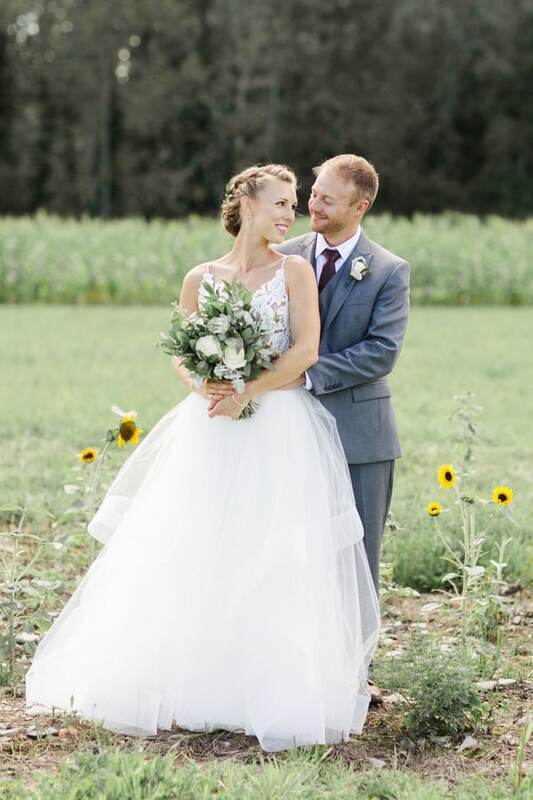 “My husband and I literally ‘exchanged vows’. 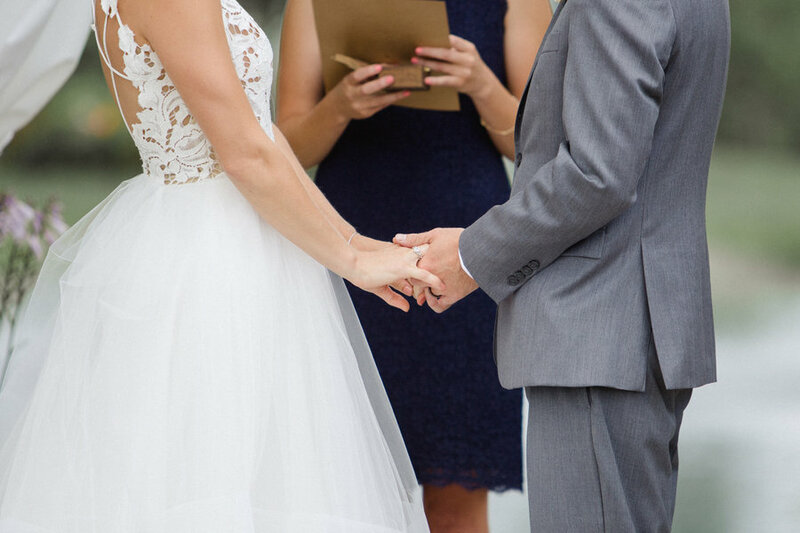 We had written down our vows, and instead of reading them aloud, we silently read them to ourselves during our ceremony when we exchanged them. 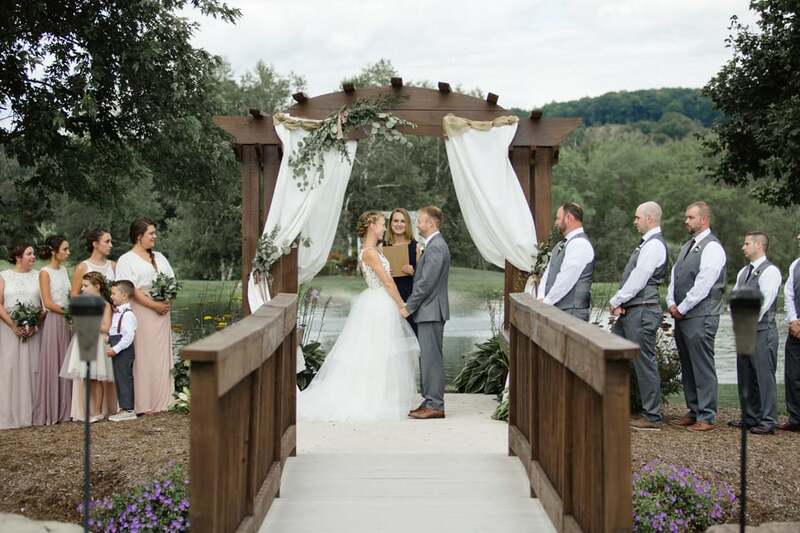 “We also had a tree planting ceremony, and our officiant’s words about our love were wrapped metaphorically into the planting of our tree. Our officiant was a long time friend, who I met while studying in Sweden and flew from across the country to be a part of our day. 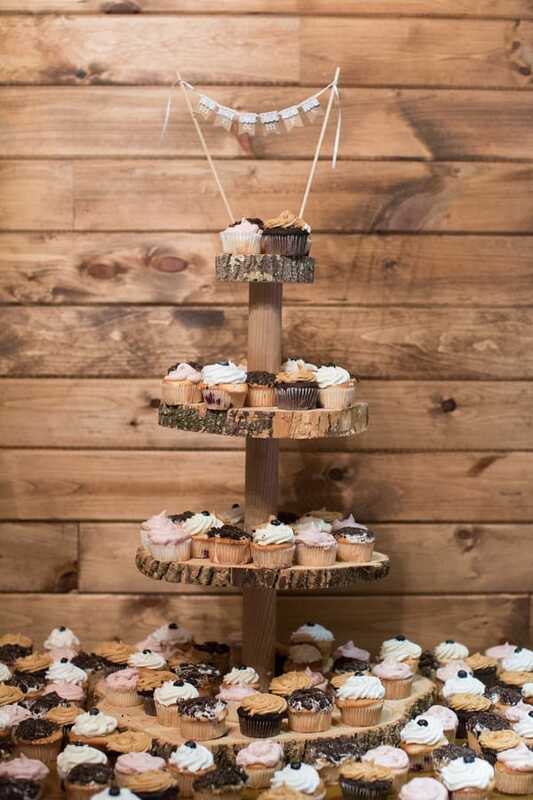 “My centerpieces included geodes, as did the groomsmen’s boutonnieres. My husband made a 7 foot tall wooden directional sign and I painted the names of the places that people were traveling from (Utah, Sweden, England, Spain, Arizona, California, Florida, Colorado, Pittsburgh, Philadelphia, and the towns we grew up in, Montdale and Scranton). 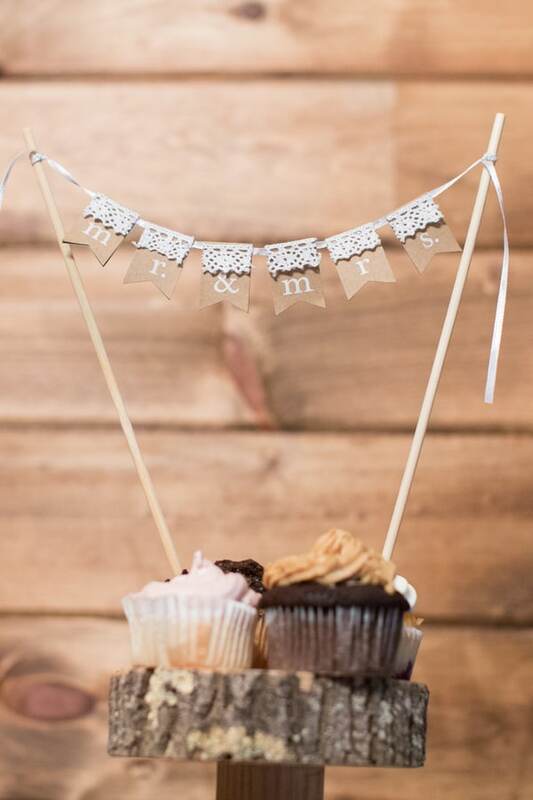 “Our favors were delicious! Each guest ate pizza at the end of the night that our caterer had created as a late night snack. 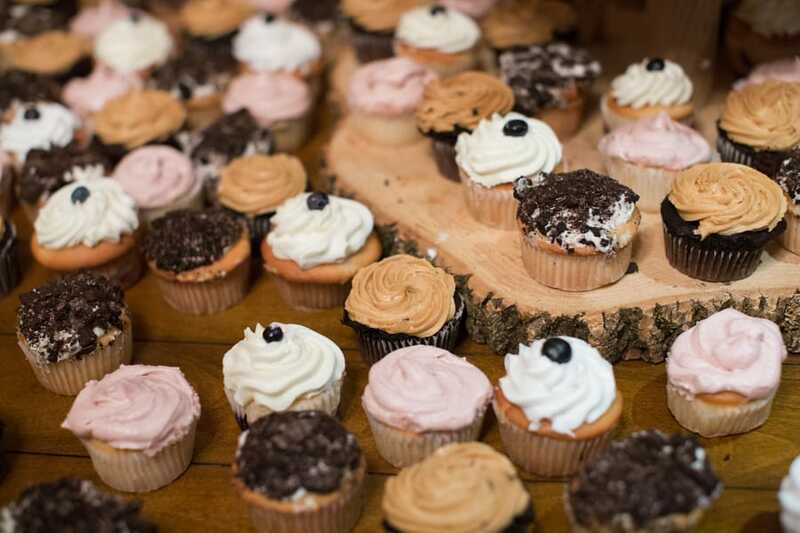 Our caterer also supplied our multi-flavored cupcakes; blueberry cheesecake, chocolate peanut butter, raspberry lemon, and vanilla cookie. 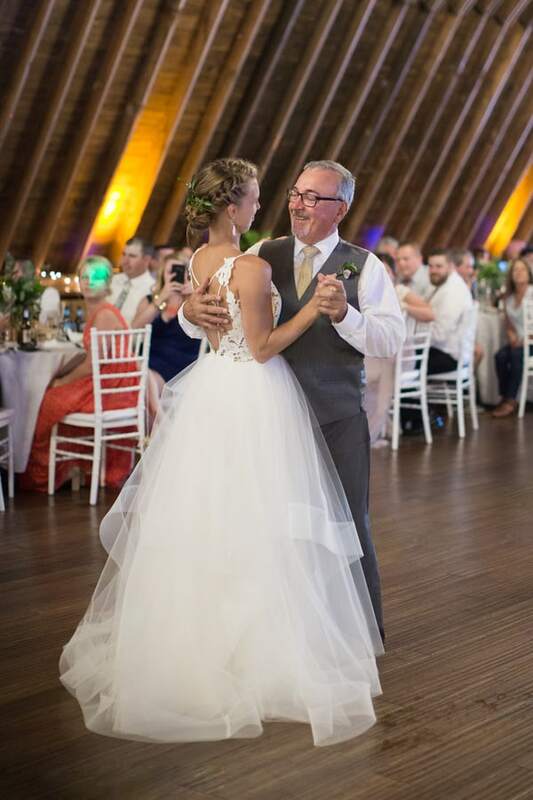 “My gown was unique and light as a feather! 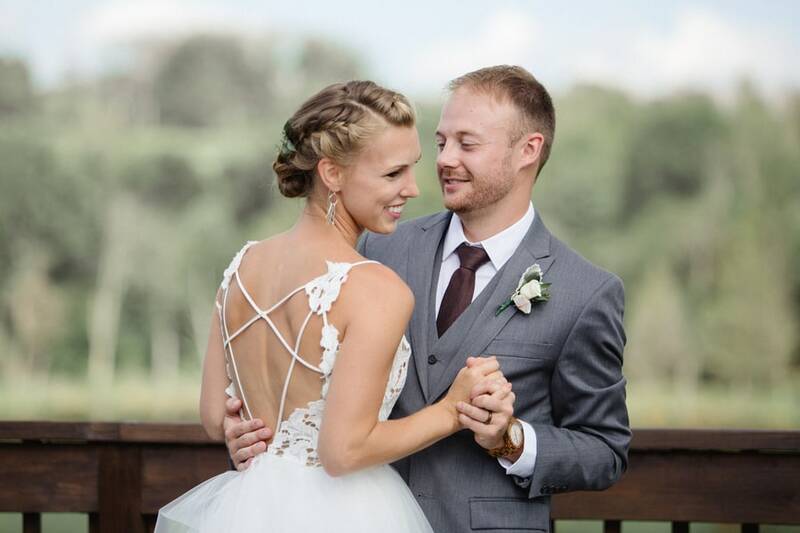 I danced, ate, and hugged guests effortlessly in a Halo Blush by Hayley Paige dress. The top was ivory lace with a v-cut back with strappy details, and the skirt flowed naturally with horse-hair trim. 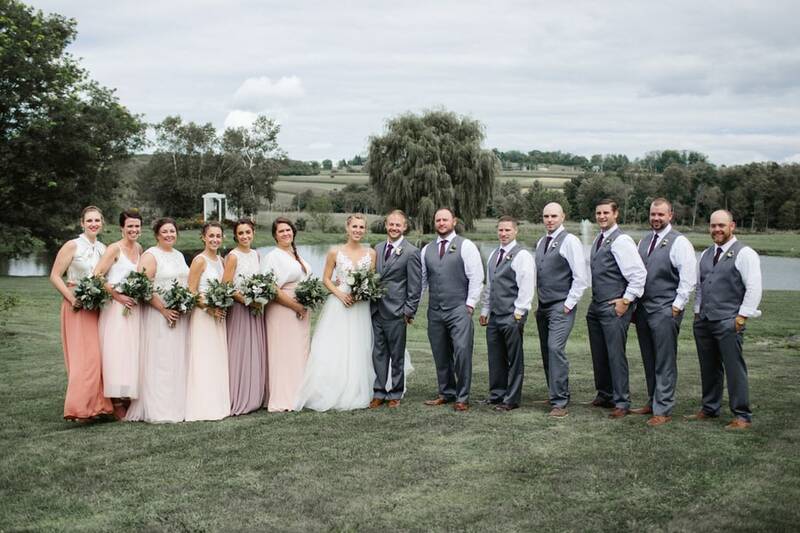 “My bridesmaids wore mismatched neutral colors and they chose their dresses and the color themselves, and they did a fabulous job (I didn’t even see their dresses until the day of). 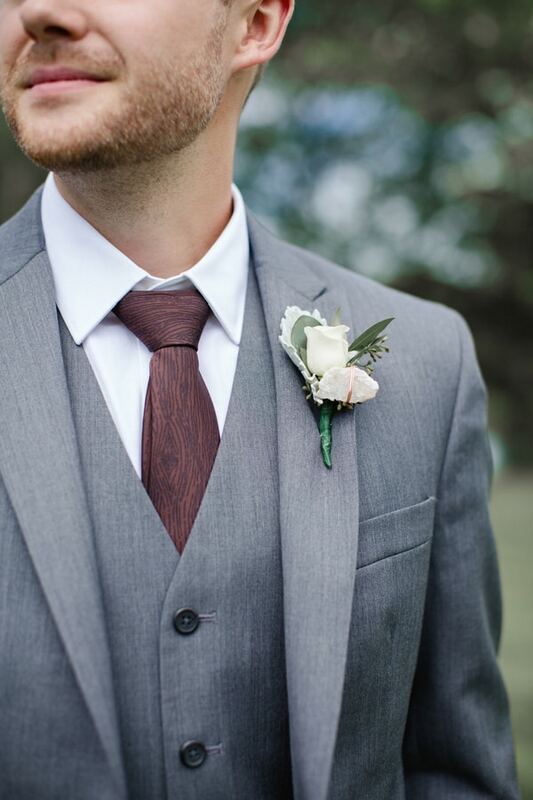 “Tommy wore a grey suit with a wood-grain tie, tan shoes and a rose, greenery and geode boutonniere with copper wire. 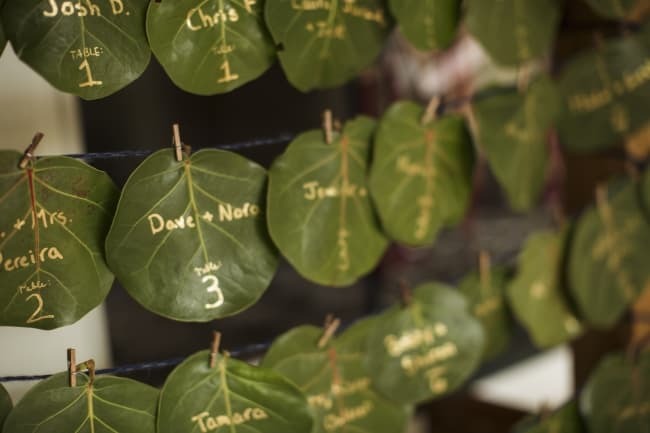 The groomsmen all wore wood-grain ties, and the bridesmaids wore pieces of greenery in their hair. 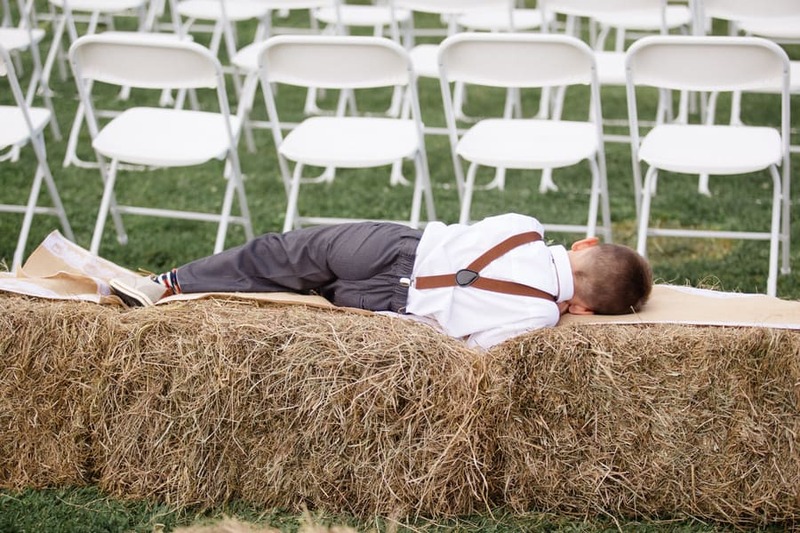 Q: Any wedding planning or marriage advice to share with other couples?